This might just be the EASIEST recipe I have ever posted! Only 3 ingredients! It comes together super quick and you cannot beat the flavor and texture of homemade chips compared to store bought ones. My husband actually taught me this recipe when we were in college, he made a dessert version, which is also yummy! 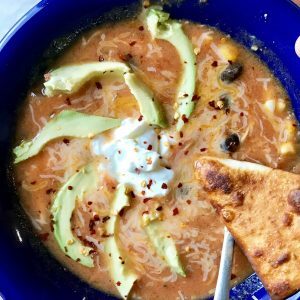 I’ve mentioned in the past how tortillas are a staple in my pantry or fridge at all times. Corn tortillas I’m sure would make this more authentic, however I use the flour ones. Any size tortillas will work, whatever you have on hand. 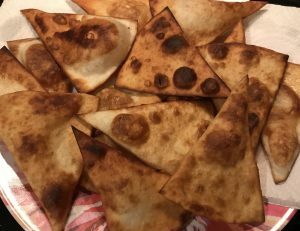 I like to cut mine into little triangle chip shapes, depending on the size tortilla you use, the amount of chips you get will vary. In a shallow frying pan, heat oil over medium heat, you’ll want about a quarter to a half inch of oil in the bottom of your pan. Using metal tongs, place 4-6 chips in the oil at one time, don’t over crowd, go with however many fit your pan without touching. 1-2 minutes per side should crisp them up nice, however check after 1 minute to see how they are browning. 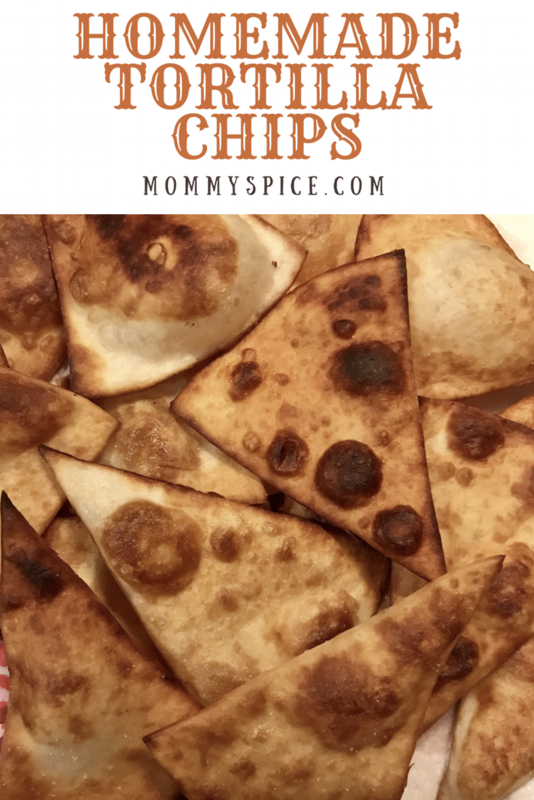 If you like a crunchier chip, let them go a little longer, if you’re looking for a softer chip flip them right away. You are pan frying the chip, opposed to deep frying them. This requires you to flip the chips, however it gives you more control over the cooking of your chips. 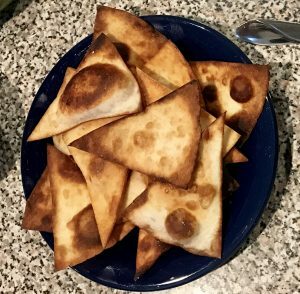 Once the chips are done, and you will have to work in batches, place them on a paper towel lined plate and grind fresh sea salt over them while still hot. That’s it, pan frying may sound intimidating if you’ve never done it before, but it’s really not. You can always turn down the temperature on the oil if working in batches gets overwhelming, or worse case scenario you can dump it and start over if you burn it. The fun part with these chips and they will never turn out the exact same way twice. My kids love to get the chips with “bubbles” in them, they are especially fun to scoop up soup in. 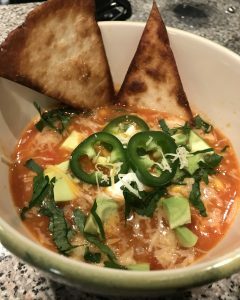 Which just so happens to be my favorite way to serve these chips, with chicken tortilla soup, either made on the stove top or in the slow cooker.